The UNI Museum prides itself on working with many organizations across campus. This semester alone we have worked with students from the Department of Chemistry to do instrumental analysis of our mastadon tusk (read more here), had students from the Department of Art use photos of our objects in a collage project, and collaborated with the President's Office to plan new exhibits in their space. Our most recent collaboration is with Dr. Elizabeth Sutton and the UNI Gallery of Art. The latest exhibit, Women as Makers, focuses on women's contributions to society through their art and labor. There are several items on display from the UNI Museum collection that highlight women's handiwork in the field of textiles. One of the items on display is a quilt block on loan from Marlys and Dennis Mitchell. This type of piecing technique is refered to as "crazy quilting." This technique lacks the repeating motifs that is common in most quilts, and it also tends to have more embelishments along the seams. 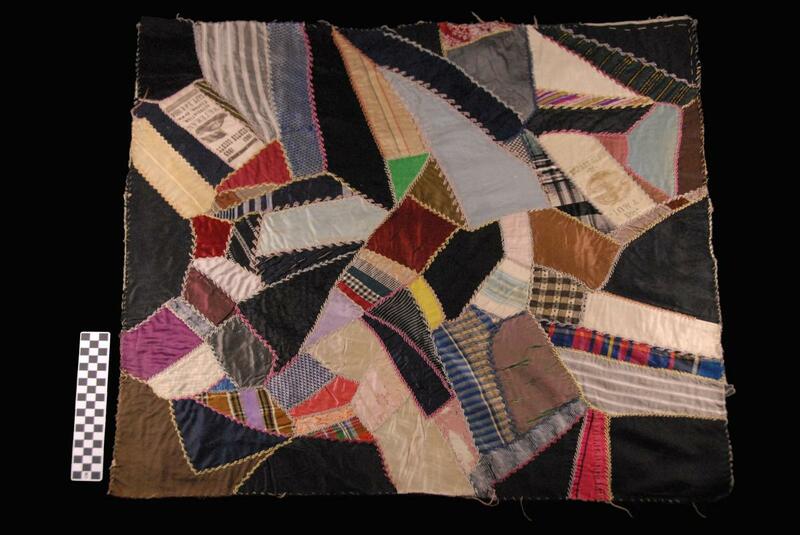 This quilt block is an excellent example women being resourceful and expressive in their creations. While the top is created by scraps from other projects and decorated with elaborate embroidery, the back is created from flour sacks. Prior to the use of paper sack, flour used to be sold in fabric sacks. Quite often these sacks would be reporposed for use in the home, ranging from dish towels to curtains to clothing. 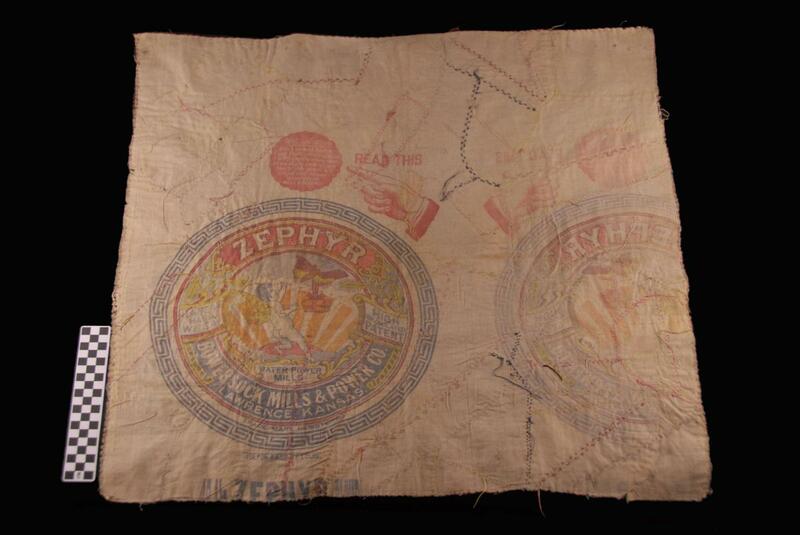 The creative use of this material was so ubiquitous that some flour mills began including decorative prints as a marketing technique. For a closer look at this and the other objects on display, visit the UNI Gallery of Art in the Kamerick Art Building. For more information on the exhibit and associated programs visit the exhibit website here.